Integrated Water Technologies, Inc. is a full service wastewater treatment company dedicated to preserving the environment. Our company is guided by sound engineering and scientific principles innovatively applied to create breakthroughs in water treatment, benefiting industry and society. Research, development and manufacturing state-of-the-art water treatment equipment are essential to our success as a company. In this spirit, we have invested deeply in designing and constructing large volume plants and mobile units to treat some of the most highly contaminated wastewaters in the world. Our staff and Board of Advisors leverage over $1 Billion of successfully completed environmental remediation projects in landfill construction, site remediation and Superfund site clean ups to provide complete water management plans for multiple industrial, municipal and emergency response needs. Understanding every industry and water remediation project have varying requirements, Integrated Water Technologies environmentally engineers customized water treatment solutions on a caseby- case basis. We engineer scalable, cost effective water remediation solutions, while safeguarding the environment and water resources. Integrated Water Technologies is advancing water treatment technologies to develop new water supplies from contaminated waters, create complete wastewater re-use programs and provide solutions for ever increasing discharge, disinfection and drinking water standards. Integrated Water Technologies was founded to solve the most complex water remediation challenges in the world. We have assembled an unparalleled team of environmental experts who developed FracPure™ Produced Water Remediation. This process was proven in a demonstration to the Pennsylvania Department of Environmental Protection to be the only solution in the United States for complete remediation of the highly contaminated water produced by the natural gas drilling process hydraulic fracturing. Our staff relentlessly pursues groundbreaking solutions to safeguard our rivers, streams and public water supply. We are proud of our staff and their commitment to environmental stewardship. 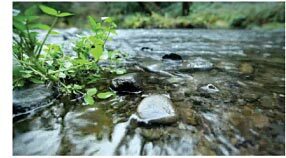 Integrated Water Technologies, Inc. has a foundation as concerned environmentalists. Our founding members own the Pahaqualong Farm which is a produce farm and fishing club near the Delaware Water Gap, bordering NY, NJ and PA and have been members of Ducks Unlimited for nearly 20 years.